Below you can view properties listed on our website that have 3 bedroom. I have a 3 bedroom house in need of decorating. It has a small garden at the rear but plenty of parking at the front. There is only 4 houses in a row.it is very near to senior and primary schools and close to park. It has a downstairs toilet with the bathroom upstairs. I have a kitchen diner. All floors are wooden apart from bathroom which is tiled. I have a beautiful 3 bedroom home. It has 2 double bedrooms with built in wardrobes. The 3rd bedroom is a large single. Also on the first floor I have a big bathroom with bath and shower over the bath., and a laundry cupboard where you can hang wet washing without having to look at it!! Downstairs I have a kitchen diner, a small lounge and a big downstairs toilet. Mid terrace, 2 bedroom house which has been converted to a 3 bedroom. New white pvc windows and doors fitted. All new wiring work has been carried out along with cavitey walls filled and lofting installation done. Off street parking. Small front garden and a medium back garden. Side entrance to back garden. Local shops less then 5 minute walk. Good neighbourhood, and schools within a 10 minute walk. I have three double bedrooms maisonet three minutes walk to the beach and local amenities. Large living room, new build kitchen, new build bathroom. 3 bed terraced house in Guildford. Double glazing, centrally heated. Front and back gardens. Close to shops, Gp surgery, schools and buses. Easy reach of Town Centre and A3. Looking for a 2 bed house or Bungalow in Llandudno, must have garden and pets allowed. 3 bedroomed semi detached house with drive and converted garage. 3 bedroom house in Leigham decorated throughout has down stairs and up stairs toilets, two large double bedroom and 1 single bedroom large kitchen and front room and plenty of storage space. Close to schools local supermarket drs. 3 bed in turlin moor. looking for a 3 or 4 bed in poole or surrounding. A very neat 2 bedroom bungalow. End terracein a quiet cul-de-sac. 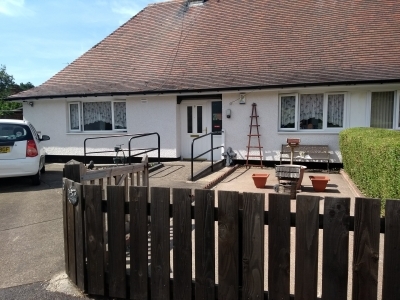 Large garden, beautiful views withe sun all afternoon.New roofs just been replaced Our family have outgrown this lovely bungalow unfortunately. 3 bedroom house in a quiet street in hurst green. Drive big enough for 4 cars. Large back garden. Needs a fair bit of work doing to both garden And drive. Bathroom And toilet downstairs. Whole house needs a makeover! Would be ideal for someone wanting to start from scratch. Looking for a large 3 bed house or a 4 bed in edenbridge. Semi detached 3 bedroomed house in North Glenrothes, near park, football pitches and woodland walks. Lived here 18 years but time for a change. Solar panels, double glazed, driveway and six foot fenced back garden. Very green area, pretty in all seasons. I have a 3 bed, terraced house with a private garden. I am looking for a 2/3 bed house with a garden in Stroud to be closer to family. I have a lovely 3 bed house in shirley, close to shoos, schools etc. Quiet little close. 2 good sized bedrooms and 1 small bedroom. 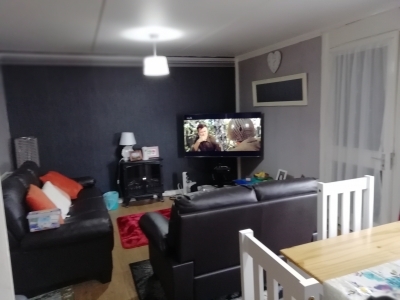 Large lounge/dining room open plan. Fitted kitchen, bathroom upstairs. Small back and front gardens. 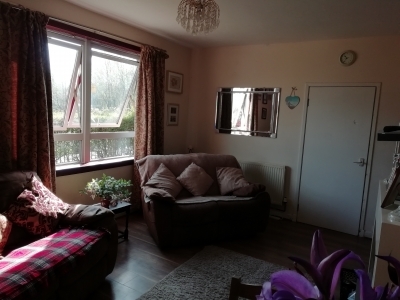 Im looking for a 3 or 4 bedroomed house in shirley, solihull, dorridge, knowle, dickins heath,monkspath, whythall, hollywood areas. Solihull council or housing association. 3 bedroom property beautifully located close to all amenities in St.Albans. Newly decorated and with a very large garden. Have outgrown two bedroom house....great location in Helmshore....gardens front and back....need more space for two teenagers.